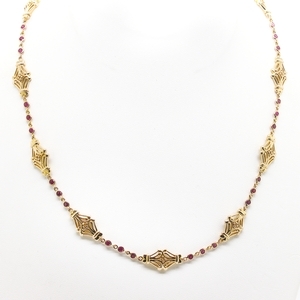 Reliable Gold Original Design #2 Reliable Gold Ltd.
Another fabulous necklace created here at Reliable Gold! 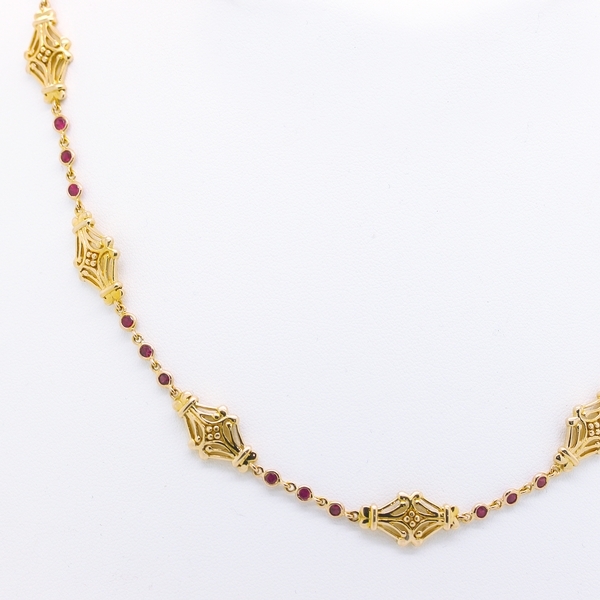 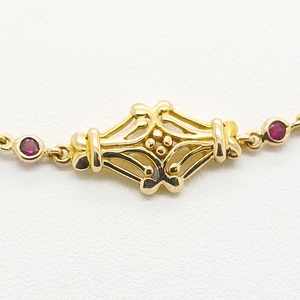 This yellow gold necklace has bezel set rubies punctuated by intricate gold stations and is perfect for everyday wear with a touch of flair. Our current model is constructed of 14K yellow gold with approximately 3.59 carats of rubies and measures 17 inches long, but we can completely customize metal type, color, gemstone and length to your preference.